This is Mirza Adela Shol Cucul. 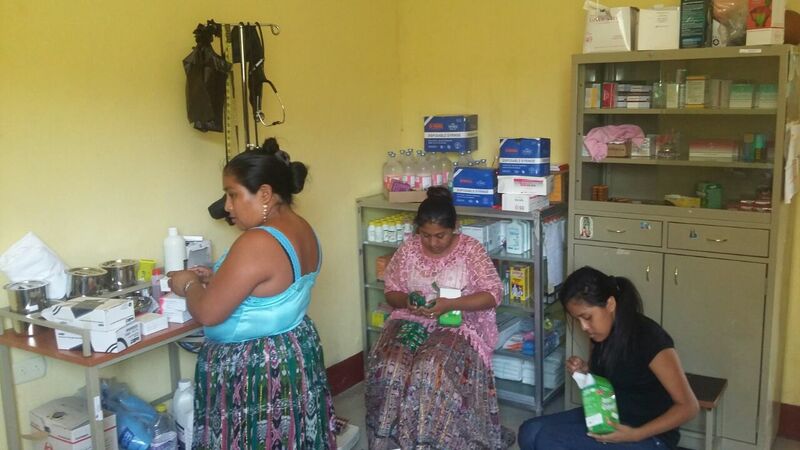 She is an Ecotourism Coordinator for our project partner FUNDAECO in Izabal, Guatemala. She is a Q’eqchi Mayan lady from the Creek Maya indigenous village in Cerro San Gil. 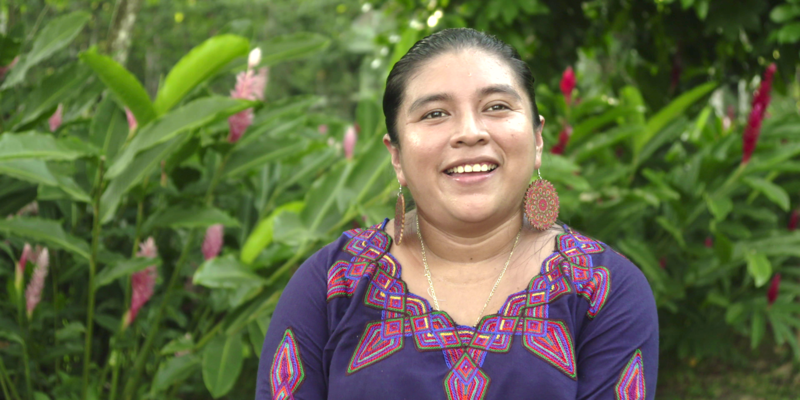 We interviewed her about her work with conservation, communities and promoting the participation of women in FUNDAECO’s REDD+ project. When I was studying in elementary school, FUNDAECO gave talks on environmental education and at that time they also implemented reforestation plots in my community. It was then that I became interested in working as part of that change, to work with the communities and the issue of conservation and to seek new livelihood alternatives for them. What is your role with FUNDAECO? I started my work at FUNDAECO in 2016, I have been working as an ecotourism coordinator for a year and 11 months. As an Ecotourism coordinator, I work on the pilot ecotourism sites located in the Rio Sartsun Multiple Use Area. We are working there on two sites, Tap.n Creek and Lagunita Creek. 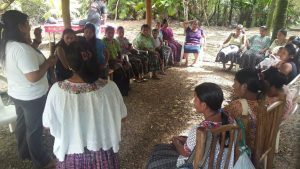 We also support community ecotourism sites in the area, providing them with technical support and training as well as helping them with the promotion of the sites under their management. As well as my role in ecotourism, I am also passionate about community work and I have been involved in the communication process of the REDD project, raising awareness about it in the communities. 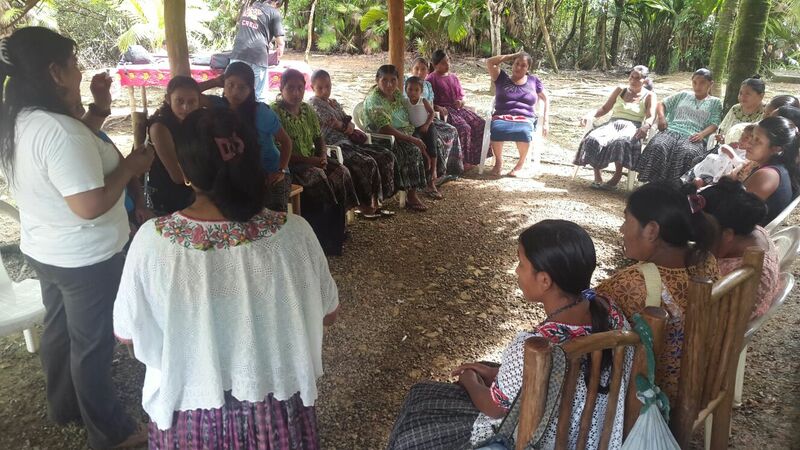 This process started when FUNDAECO’s technicians went to all the 16 communities located in the Sartsun area to explain the benefits that the REDD+ project could bring, and also to explain their rights and obligations if they want to be part of it. We also remind them that their community is located within a protected area that was declared in 2005. While many of them are aware of this, sometimes the information gets lost, because there are new generations coming and that are not informed. For the next step, community leaders met together in different sectors to see the level of knowledge and understanding they acquired during the first meetings. After that, there was a general meeting of all the communities, in order to hear from them. Some agreed to the REDD+ project, some others had doubts. This general assembly was held in Livingston. The beauty of this is that they, as communities, always ask, they question, they do not accept any proposal overnight, because they need to be well informed, so that no institution makes any decision for them. How do you work with women to make sure they can participate? I have always been interested in the participation of women in any process. Unfortunately, in most communities, when there is an assembly, meeting or general activity, women generally do not participate. My intervention looks to change that, so that they become actors of their development by learning to participate and express themselves. I always try to motivate them so that they are also participants in all projects, that is what I like and that is the reason why I continue working on these community projects. I am very grateful for the opportunity to work on what I am passionate about since I was a child, nature conservation. For me it has been quite fruitful, I have managed to support my community, to sensitize them. Starting from my family, with good practices and responsible consumption patterns. As a conservationist, I put these concepts into practice in my daily life. Every day I’m learning new things and I also see, I enjoy the benefits of caring for and protecting the environment, both thanks to the REDD+ project and other conservation projects. 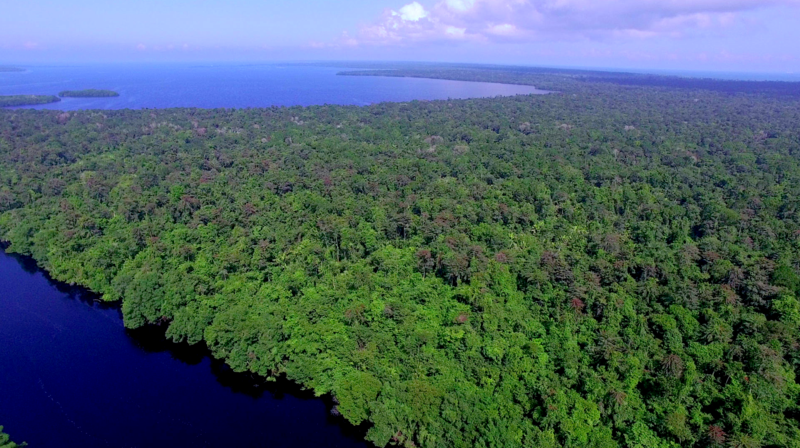 Why is important to protect the forest? The conservation of the forests in Izabal and Guatemala is important because these are the last remnants we have left. As indigenous people, we inhabit and depend on forests, as much as animals and plants do, many of which are in danger of extinction. I make a call for other communities, either in Guatemala or in other countries, to join this effort so they can preserve their forest and access the benefits that these new projects bring. Click here if you want to learn more about our the Caribbean Conservation Coast Project, Guatemala.